ClinchPad is an easy to use sales management software that promotes seamless sales team collaboration. ClinchPad is an online sales collaboration software built with a single minded goal to boost team productivity. Reduce chaos with goal oriented todo lists, real time notifications and centralized document sharing. 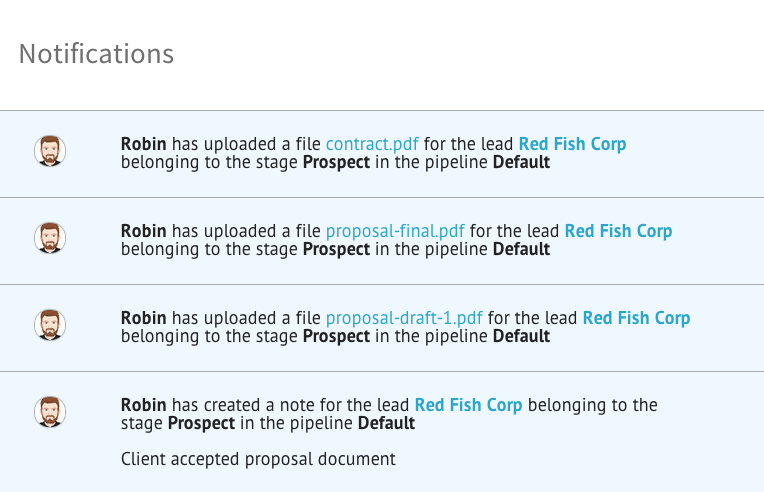 Even when juggling multiple sales pipelines, our online sales CRM makes it easy for all team members to communicate and share information with ease. ClinchPad is a multi-user sales team collaboration software that allows you to manage your entire team from anywhere. Take advantage of our role based permission system to easily add and remove users from individual sales pipelines. Give your team mates the freedom of using an sales management software with the flattest learning curve! Break the barriers of communication in all your customer relationship management efforts. Instant alerts are sent to team members whenever there is a new update in a sales pipeline. 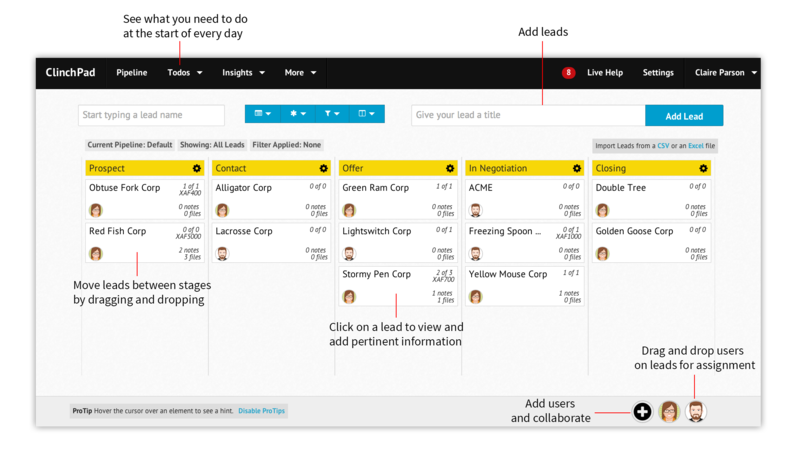 Share useful information between colleagues using notes at all stages in the sales funnel. Centralize document storage and collaborate on them by sharing comments and feedback. 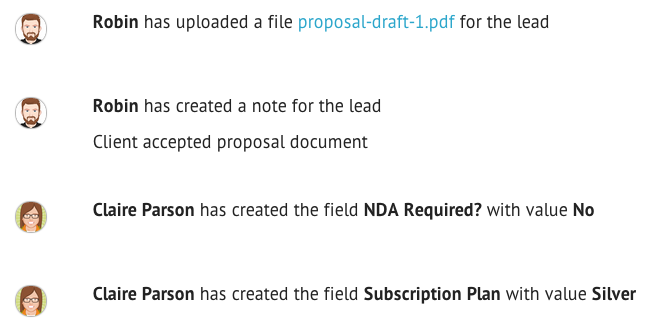 With ClinchPad, you don’t ever have to disturb a colleague for updates on the sales process. 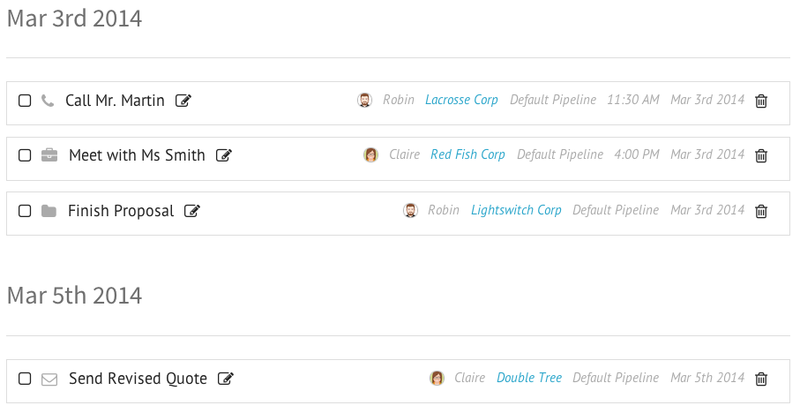 Our activity log gives you a breakdown of the progress of various tasks in the sales pipeline. Email alerts keep you in sync with with the entire team’s customer relationship management efforts. There isn’t a better sales tracking software out there in the market that makes reviewing and managing sales pipelines this easy!